Only very rarely one’s opinion and attitude towards politics can be changed by reading a book. 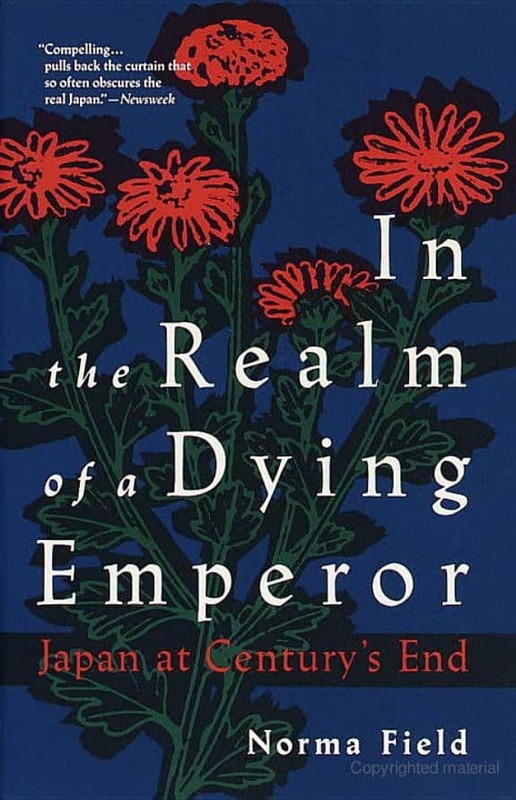 While being interested in current politics in Japan, this book changed my view onto it by providing the necessary setting, background information about a changing country. Written in 1991, it is at the same time historic and visionary, considering the changes going currently on in Japan. We, this country Japan, is permanently moving to the right, the imminent abolition of the peace paragraph 9, the sneaky reintroduction of religion and religous-tainted patriotism into politics and, what is worse, education (the rewritten education law from 2006 is a masterpiece of that agenda). We are witnesses of a reversal of the history back to dark times. And this book lays out the origins and early starts of this move. By simply recounting the stories of three person and their struggle against a state that does not obey to its own constitution, Norma Field manages to wake me up and become more aware of the intriguing developments in this country. The first part recount the story of Shoichi Chibana, who in 1987 burned the Hinomaru (flag of the rising sun, the pre-war flag that symbolized the emperors power) during a sports competition held in his home village in Yomitan, the place where US troops landed first, and still place of huge US bases. His aim was to protest against the re-establishment of the imperial system, that has killed so many Okinawan people during the war. To understand the background of his actions, one needs to know a bit about the history of Okinawa. It has been part of the independent kingdom of Ryukyu, approximately from the 15th century to the 19th, when it was incorporated into Japan. It played a central role in the development of the area, both trade and culture wise. Occupied during the second world war, it remain under US control till 1972, when it was returned to Japan. Another visitation by American soldiers, this time bearing cigarettes, water, and chocolate, failed to convince even those who had opposed the fire. One of the older men again started blocking the entrance with combustibles. Perhaps it was because he had been in the army and had seen what the Japanese did in China that this man thought it would be better to dispatch themselves before the enemy could get to them. There was still violent disagreement within the cave, however. Then a woman gave in to her eighteen-year-old daughter’s pleas that she kill her with her own hands while “she was still pure.” The mother thrust a kitchen knife into the girl’s neck. Next, a twenty-five-year-old army nurse who had observed the behavior of the Japanese army in the course of its advance on the continent called her family together, confirmed their identities (for the cave was dark), and injected them with the poison she kept in her kit. Many others begged her to inject them, but she refused, saying she had just enough for her own family and relatives. By this time chaos had overtaken the cave, and the pile at the entrance was ignited. Not everyone was ready to die, but the smoke threatened to suffocate them all. Some managed to walk out, not in hopes of escaping, but simply because the smoke was unbearable and they thought it would be easier to be shot dead by the Americans. In the end eighty-two people were dead, forty-seven of them children under the age of twelve. This is one aspect of the bloodless American landing. There was no bombardment in the morning, and everybody went out of the cave to get water. Then I found my younger brother and sister crying and calling me from a pile of sugar cane bagasse at Miisumo. They said they got hurt in front of Mearakagua and had come crawling on their hands and knees. I brought them one by one to the cave and laid them down. I asked them if anything’d happened to Mother, and they said Mother was dead. Maybe Seiyu was also dead, they said. I asked them why Mother was killed. What they told me was that a Japanese soldier came and asked Mother how many people were in there, but as my mother couldn’t speak Japanese well, she answered, “Hui, hui?” Of course, what she meant to say was “Yes? What is it?” but the soldier instantly cut her head off. The head landed in my sister-in-law Yuki’s lap. Everybody panicked. My younger sister got away, carrying our younger brother on her back, but when she got as far as Mearakagua, the soldiers caught up with her, took her inside the gate of the house and stabbed her, so she let go of our little brother. She was stabbed three times in the abdomen and her intestines came out here and there. My brother’d been stabbed deep and cut wide in the stomach, and all his tangled intestines came out. He died soon. In total, 150,000 Okinawans died during the final battles of the Second World War, a third of the civilian population. The number exceeded the total of American and Japanese military casualties (over 23,000 and 91,000 respectively). Article 9 today is the source both of dreams for a world without violence and of deception about massive “Self-Defense” Forces. A perilous debate has emerged in Japan over whether it isn’t time, finally, to jettison this fiction. On October 22nd, 1987, from his home in Kochi Prefecture, the President of the Japan Softball Association, Hirose Masaru, called the office of the Okinawa National Athletic Meet. He said that if the Hinomaru weren’t raised, nor the Kimigayo sung at the opening ceremony of the 26th, there would be no games at all in Yomitan. A flag that is responsible for the cruel murder of many Okinawan people, as well as millions and millions of other Asians, sealed the fate of Chibana, and made him step forth on October 26, 1987, climbed the building with the flag poles, pulled down the Hinomaru, and burned it in front of the whole audience. The interesting point here is, that at that time, the Hinomaru was not the official flag of Japan till 1999. It was just a flag, not mentioned in the constitution. Thus, the burning of this piece of cloth, worth a few thousand yen, should have given Chibana simple fine, and that should have been the end. But Japan, and here the mainland Japan, not Okinawa, came down with wrath onto the strangers of Okinawa, those who haven’t been considered proper Japanese before, during, and even after the big war. Right-wing militarists roamed the village of Yomitan, destroyed the memorial for the fallen built in front of the Chibichirigama Cave (built by the villagers on their own money, not by any government from Tokyo! ), burned the market of Chibana (of course, without any action from the side of mainland police), and then, years and years and years of tribunals, court hearings. All this ended with a conviction, and ultimately led to the establishment of the Hinomaru as national flag in 1999. Incidentally, the flag was also renamed at the same time to Nisshōki (日章旗), as if this would change the meaning. It is the illegal action from the side of the government and politics, ignoring the constitution, ignoring law, that still drives people in Okinawa to the brink. Consider the last election in Japan, there was only one prefecture that was not right-wing dominated, it was Okinawa. Those people have my fullest respect and appreciation. They are fighting for rights, for freedom. In times where our, the Japanese, constitution is under heavy attack from right-wing activists trying to get rid of paragraph 9 and reinstalling a quasi-fascist system, we need to look back in history, and stand ashamed in front of those who have fought for freedom, peace, and right, while our generation is bound to accept these perilous changes. In Japan, as elsewhere, the allure of late capitalism comes saturated with irony. In Japan, as elsewhere, the citizenry seem not to care. Perhaps it is easier to suspend doubts where general prosperity reinforces an apparent homogeneity, where there are neither obvious oppressors nor unsightly victims.